The new Cover Rx (cover prescription) is compatible with virtually any above-ground spa on the market today. The unique undermount installation plate allows the Rx to be installed on whatever side of your spa you choose and requires only 18″ of clearance. Whether your spa is square, rectangular, octagonal, or round the Cover Rx will be a perfect fit and requires no drilling into your spa cabinet. Your spa cover is supported entirely by the Rx and does not place any unwanted stress on the center cover seam which translates to a longer cover life. 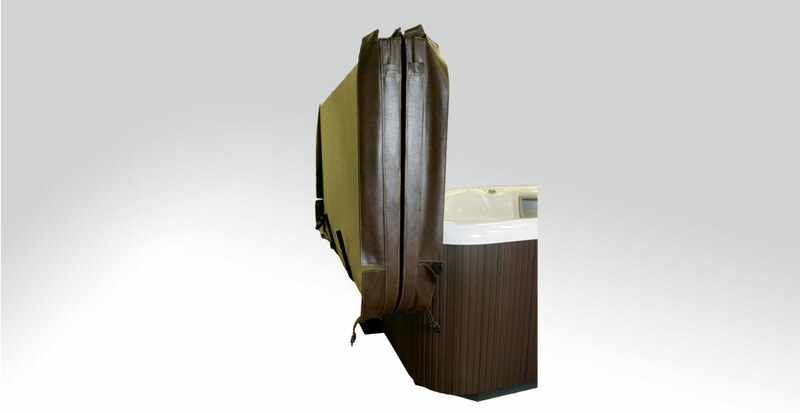 The Cover Rx can be operated by a single user from any position you choose; from the side of the spa, from the back, or even inside of the spa. There has never before been a more complete spa cover lift.